Can you manage a soda bottling plant gone haywire? SODA STAR IS THE HIT TINY UTOPIA APP EVERYONE IS PLAYING! NOW WITH OVER 80 LEVELS! Soda Star is a competitive, single player puzzle experience where players square off for the best scores and flawless sorting by controlling multiple switch controls. The game features vibrant hand drawn animation special effects and original cartoon inspired 3D puzzle designs with intuitive controls, and a sensational soundtrack. To be successful, you need to be alert to keep on multiple switches in your soda stations, using timing and skill to create the correct sodas into the correct crates for shipment! Be sure to keep an eye out for soda destroying bombs, while all the time picking up valuable gifts for special magic soda bottle, amazing fruit and time warping coffee mugs. 12 SODA FACTORIES— 3 SEPARATE LEVELS OF DIFFICULTY — MORE THAN 120 TOTAL PUZZLES — FREE UPDATES! SAMMY'S STORY Sammy the Saboteur lives in the soda factories secretly trying to steal the formula for your delicious next beverage. Watch out as he tries to foil your factory by planting bombs on the conveyor under your watch. Click anything on the conveyor that doesn't belong and be rewarded with bonuses and other items which will assist you to attain the perfect score and ship everyone delicious soda! In Sammy's Story, play nine themed soda factories over 80 levels. Collect new soda brands and special items to unlock new puzzles as the player faces increasingly more challenging micro managing to keep ever bottle in it’s correct crate. 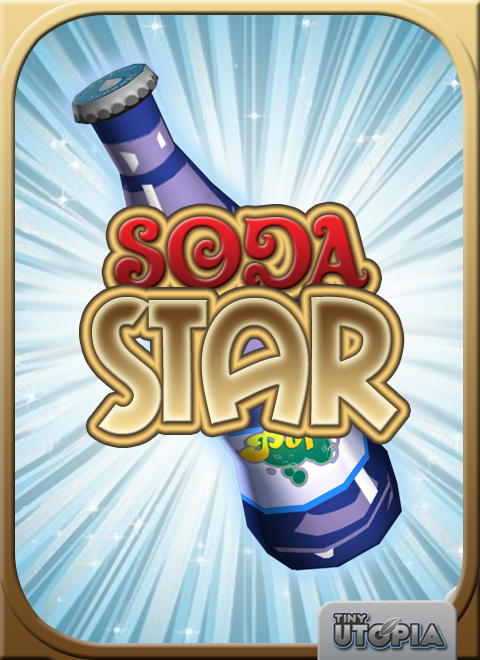 •Magic Soda– Wildcard soda which can be sorted in any create that you like for added points and bonuses! •Gift Package – unlock these special drops with bonus fruit, coffee time, and magic soda! •Soda Crate – Fill each crate with 6 bottles and complete the set for spacial crate bonus! •Unlock New Brands – increasing challenge take place in 9 different progressive Soda Factories.AMAZING CARTOON LIKE TRACK PUZZLES Fully 3D graphics bring amazing cartoon and Saturday morning fun in this animation inspired color matching puzzle game that moves as fast as you can sort your growing soda empire. Will you be fast enough to keep up with the increasing speed and elevated challenge of an expanding and complex soda factory? COLLECTIBLES, CHALLENGES, AND BONUS LEVELS Collect each soda prize and secret stars for more levels and points! Get to the top of the Soda Star leader boards with the fastest times and perfect accuracy. See how many days you can go with a perfect record without incident by diffusing any bomb that the Sammy the Saboteur releases to foil your soda shipping plans. Visit www.facebook.com/SodaStar for more hints, tips and secrets. Every drop counts in Soda Star? — A refreshingly sweet color-matching puzzler filled with good clean gaming fun! "Tiny Utopia, indie developer of premium mobile applications and games, is pleased to announce the demo launch of Soda Star this weekend at SXSW gaming; a fast paced, action puzzle game due out next month for iOS and Android. Soda Starlets players control a out of control soda factory as they race to match various soda bottles in their packing crates before they are dropped or destroyed."